The other day my 2 kitties got their first package from Chewy.com in the mail! 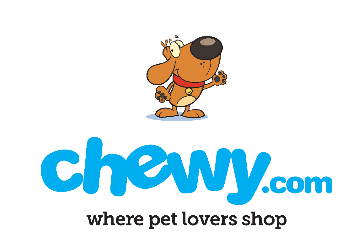 If you aren't familiar with Chewy.com, they are an online pet supply store for dogs and cats. I honestly was blown away with how many products and goodies they offer our fine furry friends! Everything you could think of, they have! I feed my cats a normal diet, however I like to spice things up for them by giving them treats. I am a big fan of treats that will be tasty for them, but also be beneficial for their teeth. 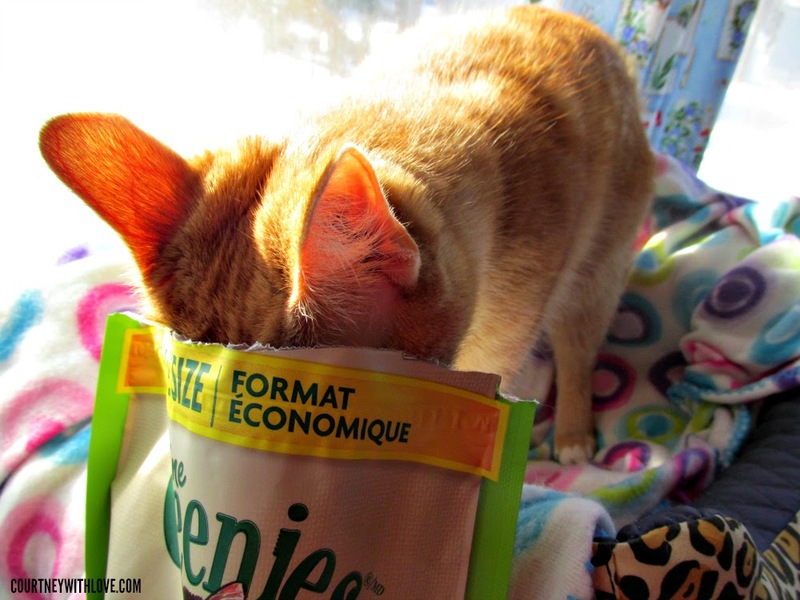 I have tried many brands of dental cat treats in the past, and my cats just didn't respond well to them. I don't think the flavors appeal to them, which if they don't eat them, they are not benefiting my cats at all. 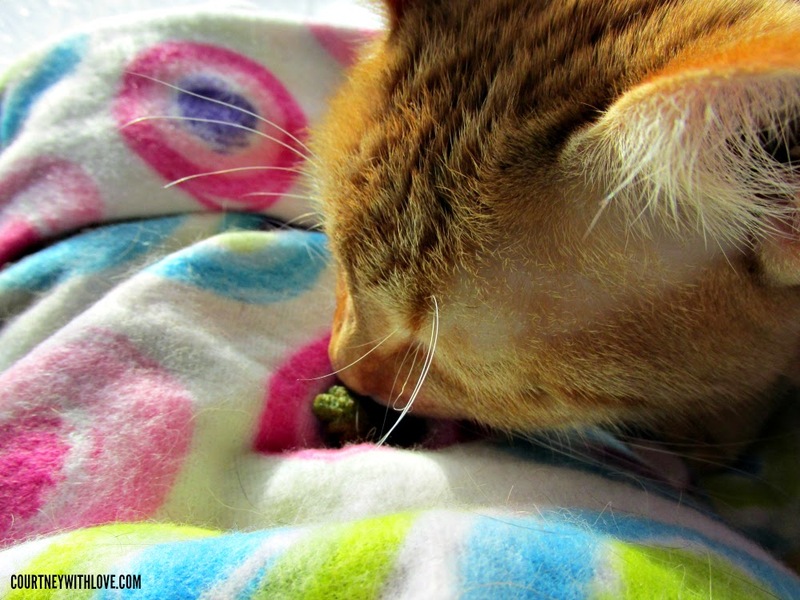 Feline dental care is a big issue to me, and something I want to help my cats with. My senior cat, Anna, she is 14 years old and has lost quite a few of her teeth with old age. 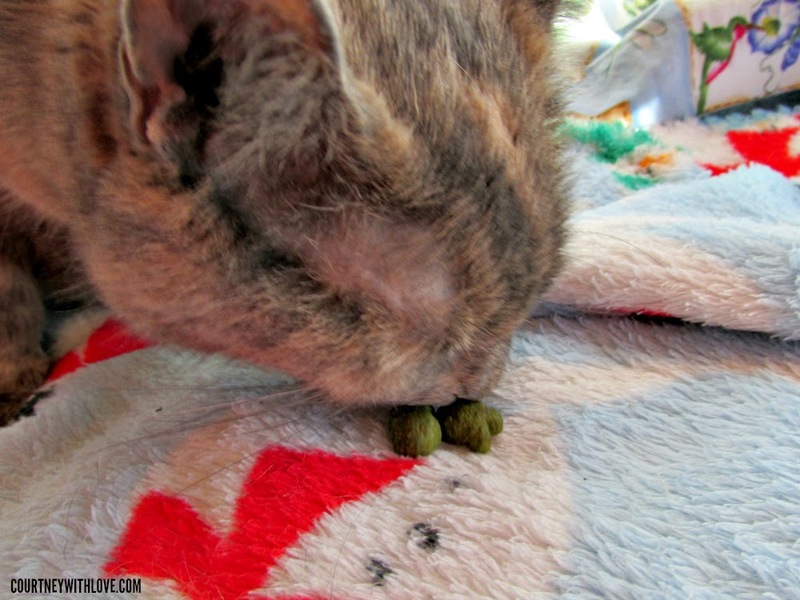 I want to give her treats that will help her remaining teeth stay as healthy as possible. With my younger cat Bailey, age 3, I am taking the preventative care with her teeth. I want her teeth to stay in tip top condition. 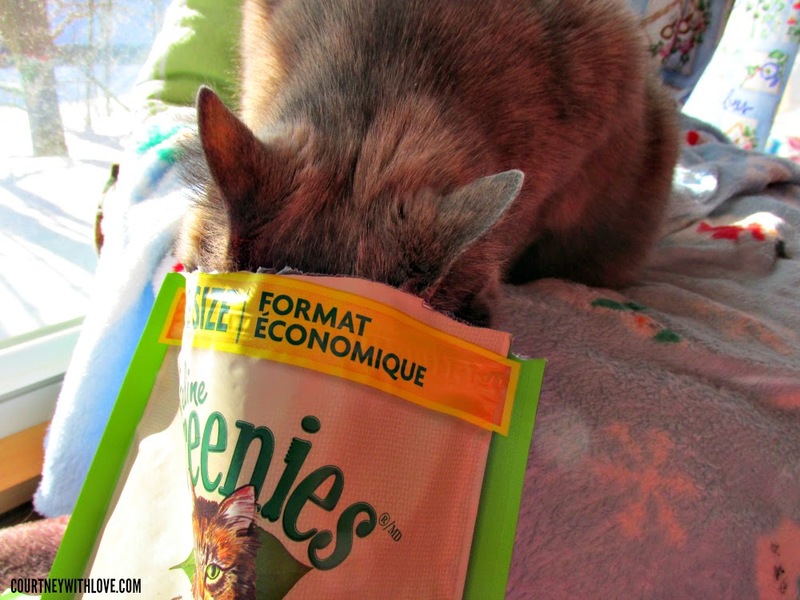 So for review purposes, Chewy.com graciously sent Anna and Bailey a value size bag of Feline Greenies Catnip Flavor Dental Cat Treats. Anna and Bailey had never tried this brand before, so I was eager to see just what they would think. When the package arrived I immediately opened up the bag and decided to test their reactions. I had my camera handy with me so you too could see their initial experience. Both of my cats recognized the sound of the bag, and knew that it had to be something yummy for them. When my cats hear the sound of a zip lock bag they come running! I opened up the bag, and I could see their noses catching the scent. Both got up from their naps to see just what I had. The treats themselves are on the larger size, and I wasn't quite sure if my older cat would be able to chew them or not. I gave each cat a few nuggets, and before I could move my hand away, each one was chowing down! Yep, both of them dove right in head first! 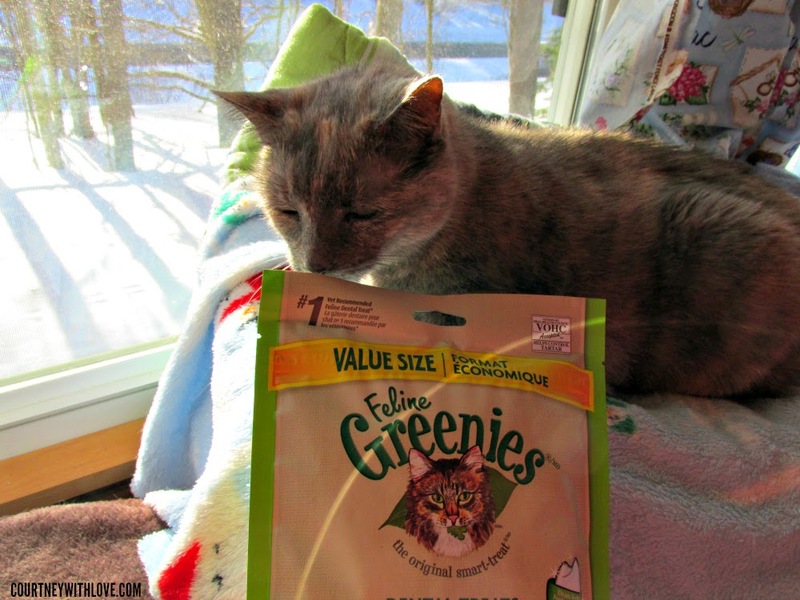 I think it is safe to say that they are HUGE fans of the Feline Greenies! I also gave a few samples to my mother to give to her cat, just to see what reaction she would have. Same thing, her cat went bonkers over them! I enjoy giving the Feline Greenies to my cats now. I can give them something that they absolutely love, and know that it is also helping their teeth. They also help freshen their breath. I think all cat owners can agree that there is not much worse than stinky cat breath! 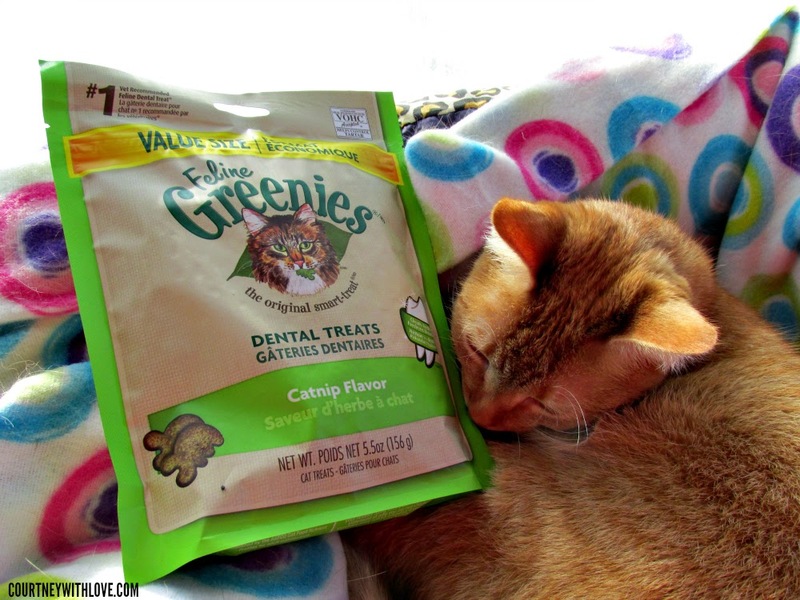 Feline Greenies are Veterinary Oral Health Council accepted. 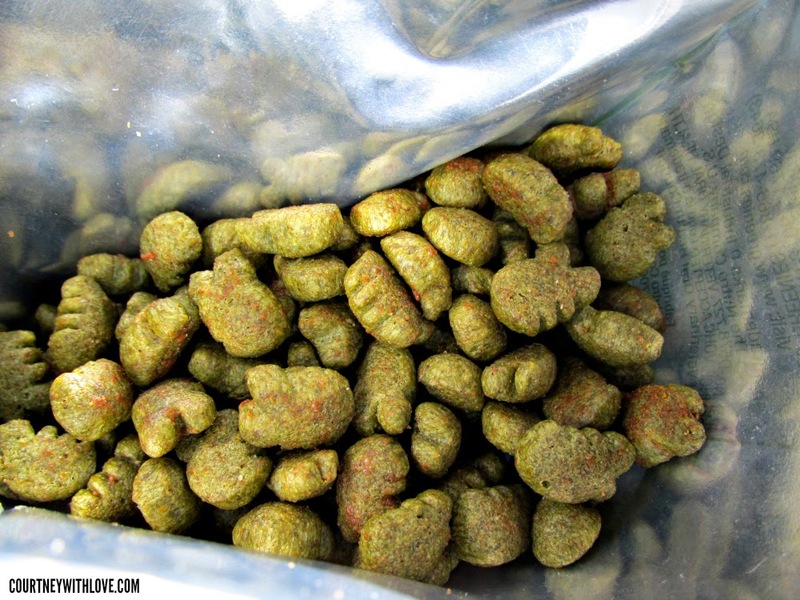 So what is the rating that Anna and Bailey give the Feline Greenies from Chewy.com? Without a doubt this is a 5/5 paw rating! If you are looking for a wonderful cat treat that your cats will love, and will also be beneficial to them, I encourage you to head over to Chewy.com and purchase a bag. Your cat(s) will thank you!